Porcher Abrasive Coatings Ltd announces Membership of British Textile Machinery Association (BTMA). Porcher Abrasive Coatings Ltd is known internationally as a leader in the field of abrasive coatings and the supply of card grinding fillet and re-coating services to the textile industry. 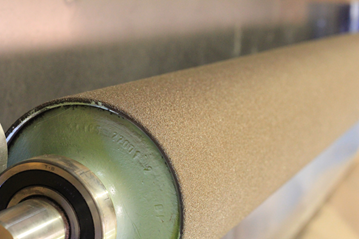 The UK’S vast textile machinery heritage puts Porcher Abrasive Coatings Ltd at the forefront of that expertise. The British Textile Machinery Association (BTMA) works with worldwide textile manufacturers to find specialist UK companies who can help them to meet their production or processing technology requirements. Porcher are perfectly placed to offer these services so we are proud therefore to announce our recent membership to the BTMA and are delighted to further cement our relationship with the textile industry. We offer supporting services for manufacturers in the textile industry, from fashion textiles, home and domestic textiles to technical textiles. 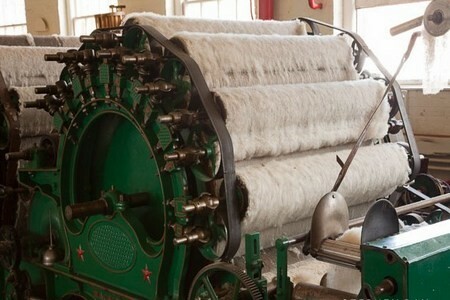 Optimum carding ensures that each fibre contributes to the desired quality of the non-woven fabric and that the full potential of the raw material is maintained. The groove type is particularly suitable for re-sharpening and side grinding flexible card wire. As consistent side grinding and backing-off of the teeth to achieve optimum tooth shape is crucial. We can manufacture to customer required lengths, widths, and abrasive grain sizes. Porcher is Lloyd’s registered and accredited under ISO 9001 demonstrating our commitment to innovation, quality, and the future development of the company. Safe, modern manufacturing facilities at our base in Boston, Lincolnshire are designed to ensure that our products are delivered to specification and on time. We are dedicated to the manufacture of high quality industrial finishes with an emphasis on strength and durability. We continually exceed the exacting standards demanded by the textile industry and in so doing produce the very best, most appropriate products to meet that demand.